Coins 11 Greek Italy. Bruttium, Terina. 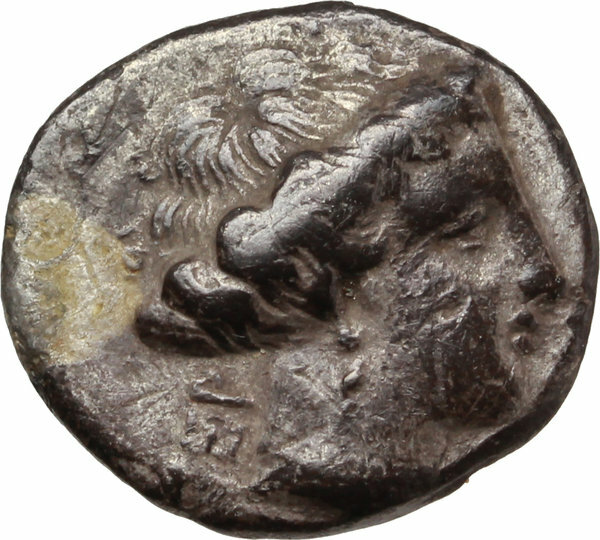 AR Drachm, 400-356 BC. D/ Female head right; behind, TER. 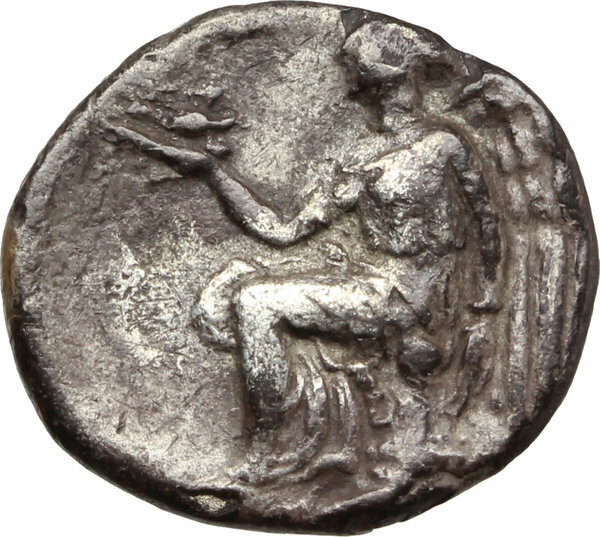 R/ Winged Nike seated left on cippus, holding bird in right hand. HN Italy 2634. AR. g. 2.08 mm. 14.50 Good VF.